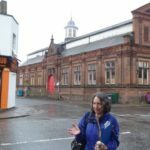 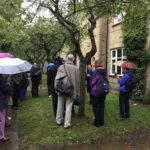 Last Saturday was Open Cambridge 2016 and a small band braved the rain to join our tour of some of the highlights of Mill Road. 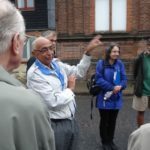 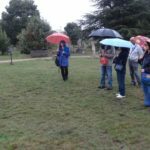 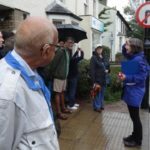 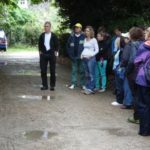 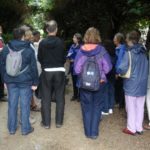 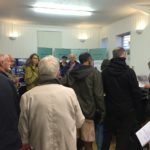 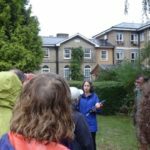 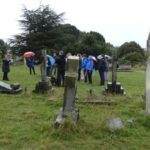 Lucy Walker led the walk talking in depth about the Cemetery, Ditchburn Place, Railway Cottages and Bharat Bhavan with expert assistance from Caro Wilson and Rasik Kotecha. 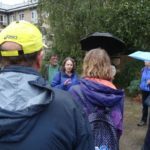 It ended with wine and an exhibition at the Bath House where Julia Ewans gave a short talk on that building’s history. 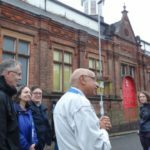 Thanks to all who turned up, here are a few photos from the event, mostly courtesy of Mill Road TV.